It is translated and updated article published in local news paper Divya Bhaskar on 28/04/2011. The former Avanti kingdom Bharatvarsh was one among the many kingdoms ruled by the Yadava kings in the central and western India.. Ujjayani (Madhya pradesh) was its capital along the river Kshipra, a tributary of river Charmanuati, which itself is a tributary of river Ganges.. Vasudev Krishna and Balaram had their education at Ujjayani. Avanti was divided into north and south by river Vetravati. Initially, Mahissati (Sanskrit Mahishamati Mahishamati) was the capital of Southern Avanti, and Ujjayini was of northern Avanti. The country of Avanti roughly corresponded to modern Malwa, Nimar and adjoining parts of the Madhya Pradesh. If we look at Mahabharat time then surrounding the kingdom of the Kurus, are, many countries, such as Panchala, Chedi, Matsya, Sursena, Pattachchara, Dasarna, Navarashtra, Malla, Salva, Yugandhara, Saurashtra, Avanti, and the spacious Kuntirashtra.. The Puranas style the Haihayas as the first ruling dynasty of Avanti. The Haihayas were an ancient confederacy of five ganas (clans), who claimed their common ancestry from Yadu. According to the Harivansha Purana (34.1898) Haihaya was the great grandson of Yadu and grandson of Sahasrajit. In the Vishnu purana (IV.11), all the five Haihaya clans are mentioned together as the Talajanghas. The five Haihaya clans were Vitihotra, Sharyata (mentioned elsewhere in the Puranas as the descendants of Sharyati, a son of Vaivasvata Manu), Bhoja, Avanti and Tundikera. The Haihayas migrated from the west to the present-day Malwa region of Western Madhya pradesh). 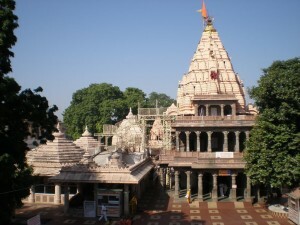 Haihaya belonged to Mahakal temple cult of present day Ujjain. Heheya kingdom (also known as Haihaya, Haiheya, Heiheya, etc.) 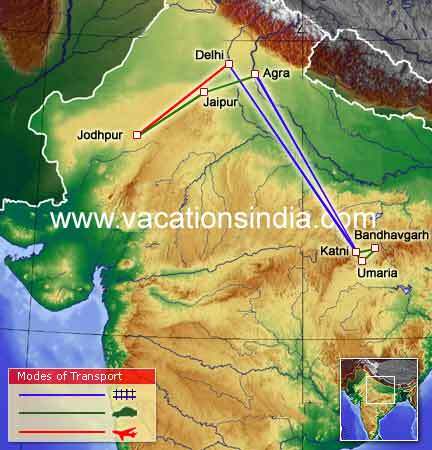 was one of the many kingdoms ruled by Chandravanshi Kshtriya kings in the central and western India. It was the strongest of the kingdoms and had the powerful ruler Kartviryan Arjun who even defeated Rakshash Rawan. 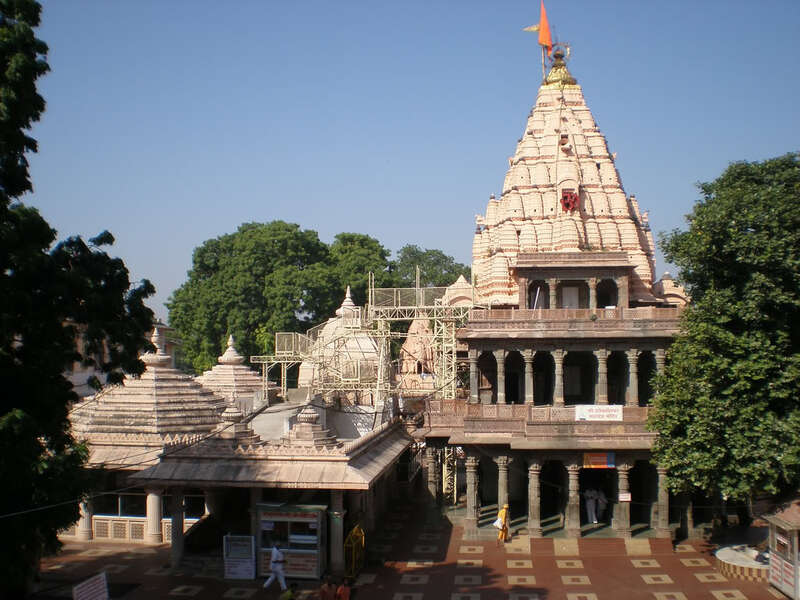 Its capital was Mahishmati (modern city of Maheshwar) on the banks of river Narmada in Madhya pradesh.. Talajangham ( That is Germany)was an allied kingdom of Heheya, probably to the east of it. This is however, considered to be largely fiction and there is no historical evidence for this. Haihayas and Talajanghas probably had their origin in Vatsa kingdom. Haihayas in Vatsa kingdom, known collectively as Vitahavyas, under their king named Vitahavya, attacked the neignboring country called Kasi, during the reign of four successive generations of Kasi kings viz that of Haryaswa, Sudeva, Divodasa and Pratarddana. The last one among them, viz Pratarddana, defeated the Haihayas and probably expelled them from the Vatsa kingdom. Kasi kings were also born in the race of Ikshwaku. This could be the seed of Haihayas’s dispute with them. The Helvetii were a Celtic tribe or tribal confederation occupying most of the Swiss Plateau at the time of their contact with Roman Republic in the 1st century BC. According to Julius Caesar, the Helvetians were divided into four subgroups or Pagi. Of these Caesar only names the Verbigeni and the Tigurini, while Poseidonios mentions the Tigurini and the Toygenoi .They feature prominently in the Commentaries on the Gallic War. The name of the Helvetians is first mentioned in a graffito on a vessel from Mantua (ca. 300 BC). The inscription in Etruscan letters reads eluveitie, which has been interpreted as the Etruscan form of the Celtic (h)elvetios (“the Helvetian”), presumably referring to a man of Helvetian descent living in Mantua. The latter may or may not be identical with the Teutones named by Livy. Ancient writers usually classify the Teutons ( That is Talajangham of India? )as “Germanic” and the ( Haihayas of India?) as “Gallic,” but these ethnic attributions are debatable. Helvetia is the female national personifaction of Switzerland, officially Confœderatio Helvetica, the “Helvetic Confederation”. Swiss people may be referred to as Helvètes. Haihaya clans were Vitihotra, Sharyata (mentioned elsewhere in the Puranas as the descendants of Sharyati, a son of Vaivasvata Manu), Bhoja, Avanti and Tundikera. While Helvetti tribe branches were Verbigeni and the Tigurini, or Tigurini and the Toygenoi . Both are founder of Avanti in two different continents. Aisa bhi Hota hai? In present day ,Avenches is a Swiss Municipality in the canton of Vaud, located in the district of Broye Vully.. The roots of Avenches go back to the Celts. A tribe of Helevetians had built a settlement on the hills of Bois de Châtel, south of the later Roman settlement. The establishment of the Roman settlement of Avanticum, which became the capital of the province, took place around 15-13 B.C. The name comes from the Helvetian spring goddess Aventia. 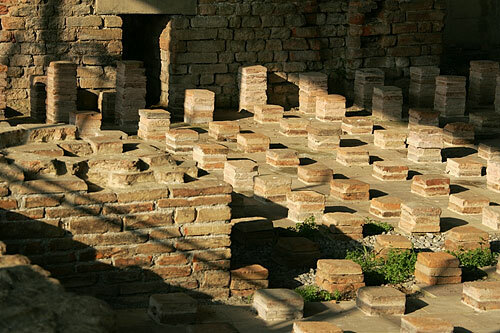 Aventicum soon developed into a blooming commercial center with 20000 inhabitants. 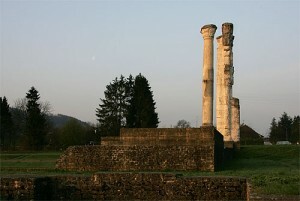 Aventicum was the largest town and capital of Roman Switzerland ( Helvetia or Civitas Helvetiorum). 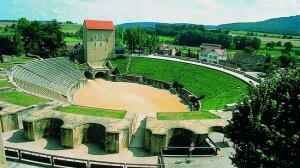 Its remains are beside the modern town of Avenches. The city was probably created ex nihilo in the early 1st century AD, as the capital of the recently conquered territory of the Helvetii, across the road that connected Italy to Britain, built under Claudius. Under the rule of Emperor Vespasian. The town wall was 5.6 km (3.5 mi) long. During this time, there were two settlements near where Aventicum would be founded. The first was the Oppidum on Vully hill, whih was given up in the 1st century BC. The second was the Bois de Châtel, which was fortified in the second half of the 1st century BC. The Bois de Châtel would be destroyed ea During the first three-quarters of the 1st century AD, Aventicum became a center of the Impirial cult in the Civitas Helvetiorum. However the Helvetii came into conflict once more with Rome shortly after the death of emperor Nero in 68 AD.rly in the 1st century AD and the population moved to Aventicum. In present day Avenches is a Swiss Municipality in the canton of Vaud, located in the district of Broye Vully.. The roots of Avenches go back to the Celts. A tribe of Helevetians had built a settlement on the hills of Bois de Châtel, south of the later Roman settlement. The Roman Temple of the Grange-des-Dîmes dates from the end of the 1st or the early 2nd century. It was built on the site of an earlier 1st century Gallic chapel. Inside the temple there was an altar, a Fountain and four pillars that supported a canopy over a statue.
. It’s close proximity to the Cigognier Temple (Sangrila? Horned god? ), the center of worship for the Imperial Cult, indicates that this temple was also an important one. Avanti! is an Italian daily newspaper, born as the official voice of the Italian Socialist party, published since December 25, 1896. It took its name from its German counterpart Vorwarts. First housed in Rome, its direction moved to Milan in 1911. While it advocated neutrality on the wake of world war I (which it viewed as an Impirialist conflict), the paper was becoming infused with the militarist and Irredentist attitudes of its editor at the time, future Facist leader leader Benito Mussolini (who had risen to prominence as an opponent of Filippo Turani during the Italo –Tirkish war). 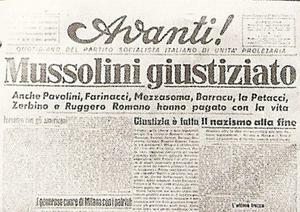 Mussolini’s dissent caused his ousting from the party, Avanti!’s direction being taken over by Serrati. The paper quarters were set on fire by Mussolini’s Blackshirts on April 15, 1919, and it was banned by the government in 1926. With Mussolini’s first fall in 1943, the paper returned to Italy. However, its circulation was drastically curtailed due to changes in political options after world war II. After losing its popularity, Avanti! ceased to be a respectful newspaper merely becoming a party-newspaper of the Italian socialist party..
No records are available to show when Bandhavgarh fort (In Madhya Pradesh) was constructed. However, it is thought to be some 2000 years old, and there are references to it in the ancient books, the “Narad-Panch Ratra” and the “Shiv purana”. Various dynasties have ruled the fort; including the Mauryas from the 3rd century BC, Vakataka rulers from the 3rd to the 5th century the Sengars from the 5th century and the Kalachuris (Branch of Haiyaya) from the 10th century. In the 13th century, the Baghel took over, ruling from Bandhavgarh until 1617, when Maharaja Vikramaditya Singh moved his capital to Rewa. The last inhabitants deserted the fort in 1935. . Rewa’s king’s son Karandeo married a Kalchuri (Haihaya) princess of Mandla and received in dowry the fort of Bandhavgarh. Brandenburg in Germany surrounds but does not include the national capital and city-state of Berlin. The two principal Slavic groups in the present-day area of Brandenburg (Germany)were the Hevelli in the west and the Sprevane in the east. In late medieval and early modern times, Brandenburg was one of seven Elocterol states of the Holy Roman Empire, and, along with Prussia, formed the original core of the German Empire, the first unified German state. Governed by the Hohenzollern dynasty from 1415, it contained the future German capital Berlin. Now you believe Illyrians stand for Ellavanshi , daughter of Manu who founded Ayodhya ? Now you believe Pannonia stands for Pandava who faught and won Mahabharat war?Now you believe La ten culture stands for Dashrajan culture of India?Now you believe celtic tribes stands for Chandravanshis? Vindobana was a town in Pannonia province. At present Vindobana is known as Viena. Aisa bhi hota hai?